A refreshingly fruity summer drink. 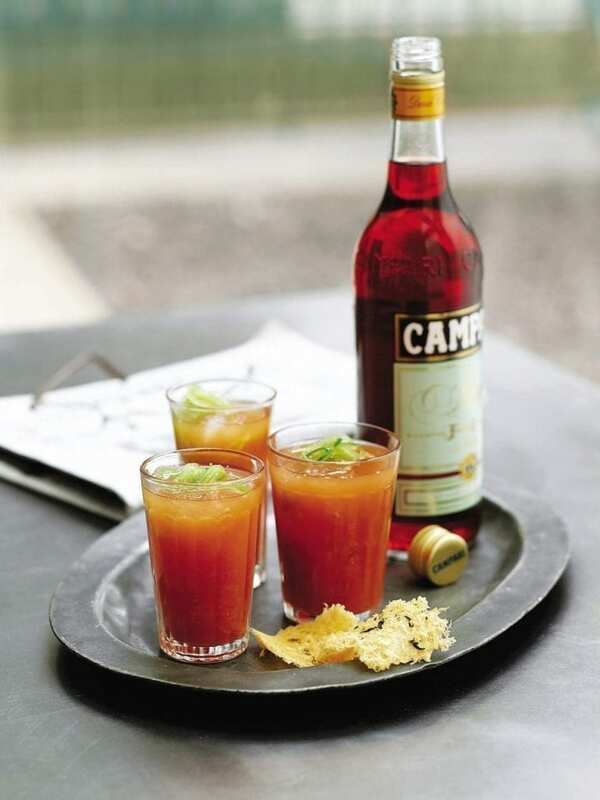 Serve this healthy recipe for Campari and tomato cooler outdoors. In a large jug, mix together the Campari with the tomato and orange juices. Divide several ice cubes between 4 glasses, then pour over the Campari drink. Top with some fine strips of cucumber, if you like. Serve with the Parmesan and thyme crisps.